Now that "Fargo" has been renewed, series creator Noah Hawley is slipping a few details about what to expect from the new season. As it's an anthology series - like HBO's "True Detective" - we know not to expect to see a continuation of season one. But according to Hawley, there will be something familiar about "Fargo" season 2. "If you were paying attention to season 1, we made a lot of reference to Sioux Falls," Hawley told reporters at the Television Critics Association tour Monday. "That was not an accident. (Season 2) will take place in 1979 and around Luverne, Minnesota and Fargo and Sioux Falls." 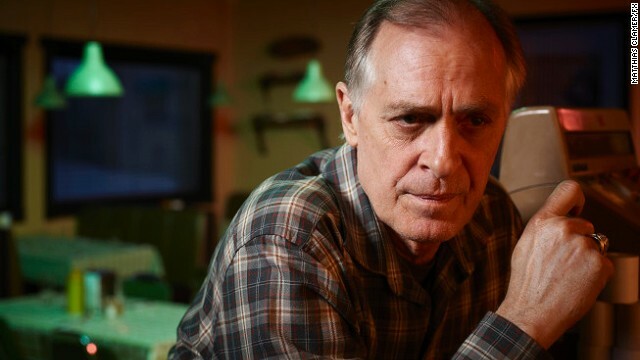 Fans will recall that Keith Carradine's character, former police officer and diner owner Lou Solverson, would mention an incident that happened when he was a 33-year-old working in Sioux Falls after the Vietnam War. "Lou Solverson is a state police officer. His wife Betsy, her dad is the sheriff of Rock County," he said. "(Lou's) father-in-law is a character in this next go-round." Hawley isn't sure whether we'll "see any other Solversons," but given the timeline we know we won't be able to spend more time with Allison Tolman's Molly as an adult; she's only four in 1979. On the other hand, Hawley said, "I'm excited to spend time with Molly's mom," who wasn't seen in season 1. "Fargo's" second season is expected to begin shooting in January, with the hope of hitting TV in fall 2015. Yay, so glad to hear this!! !